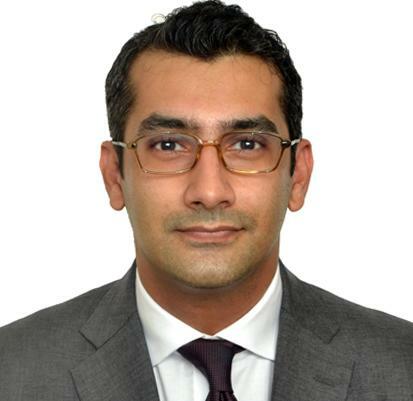 Veritas Legal has snapped up AZB & Partners Mumbai senior associate Zubin Mehta at a fixed income partner (a level equivalent to salaried partner at other firms). Mehta is a 2005 ILS Pune graduate, having begun his career at Dave Girish & Co, after which he moved to AZB in 2007. He left AZB last month. Mehta specialises in banking and finance work, with a particular focus on the fintech space and some aviation finance. Veritas founder Abhijit Joshi - who was the former CEO at AZB - confirmed Mehta’s joining but declined to comment further. Veritas now has three equity partners and three fixed income partners, with Mehta. AZB Mumbai managing partner Zia Mody said she wished him “all the very best”. We have also reached out to Mehta for comment. Big loss to AZB! Excellent lawyer and a very nice person. Wish him the very best - he is sure to do well wherever he goes! Logon ka kaaaam hai kehna, Kutch to kahenge! Partnership mubaarak ho Mehta Ji :) Cheers! how much are Associates paid at Veritas? How much does Veritas pay? Really man, do you even work at AZB, because clearly you have no idea what you are talking about! Do not smear a genuinely smart lawyer and great guy all around on a public forum. What's wrong in setting up a new practice in a growing firm and as regards pay in AZB, don't even get me started. Have you got your paltry bonus or has that been again delayed by a few more months! Bonusses are paltry at best 2 months f salary for majority plus the toxic work culture. No one takes cut evn if going to smaller firm. Either some hike or at par. So i dnt think his earning is affected. So you can chill also AZB and continue in your cubicle filling time sheets. Rumour has it that he is poaching some people? Based on my limited interaction with Zubin during my internship at AZB, I must say that he displayed a level of clarity and understanding that many senior associates there lacked. Good human being, good mentor. I hope he does well. Abhijit, Nandish, Kunal and Tushar. This one is the fifth partner, no? Damn! How did I forget him. Veritas follows the legacy of AZB as far as work culture is concerned. How about in terms of work culture? I'm genuinely curious. Congratulations Zubin. This was long due. A great guy and an excellent human being. Should have been made partner at AZB much earlier. Glad to see him finally moving out and getting what he deserves. Work hard and shine bright. One of the few people (actually the only person) in AZB who knew big-ticket banking. But this is what happens when deserving people are passed up. Am confident he will do well in a meritocracy. No other person / lawyer better than Zubin for banking and finance. Total rockstar! Excellent lawyer. Fantastic person. Long long overdue. Great move. Veritas is a good set up for Zoobs. V v v v well deserved.